Transactional emails, they sound like something you receive after a purchase is made. And that’s correct, but transactional emails are so much more than that. You can also receive one of these emails when signing up for a new account when you need your password reset after one too many glasses of wine while watching Game of Thrones or you might get a cart abandonment email after you left that new summer bikini sitting in your online shopping cart. At its core, a transactional email, also known as a triggered email, is generated after a user takes some sort of action. Because of this, transactional emails have 8x the open rates compared to traditional emails. If that number doesn’t excite you, think of it like this: take the population of San Francisco, which is close to 840,000 and the population of New York, which is close to 8.5 million. That’s the kind of difference we’re talking about. So now that we got that out of the way, how does your business go about using this? Great question! Here are 7 marketing ideas you can do with transactional emails. The feedback play is a solid move because it allows you to kill 2 birds with one stone. GoDaddy does this really well. Every time you call in for support, they will send you a follow-up email asking for feedback, and to prompt you to take action they provide a nice incentive, 25% off your order. Ask your customers for feedback after they call in or have submitted a support ticket, and then add that discount on top to get them to take action and buy from you again. Say what you want about T-Mobile’s service, but they are the king when it comes to the fun emails and taking jabs at other companies. 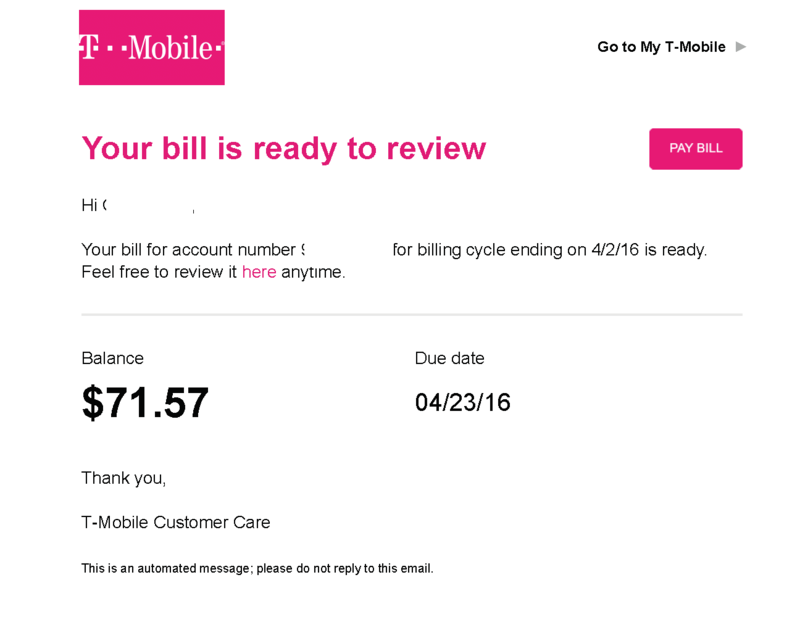 They use your bill to prompt you to sign up for automatic billing (can you say cha-ching) and they even make a nice push to add free roaming. 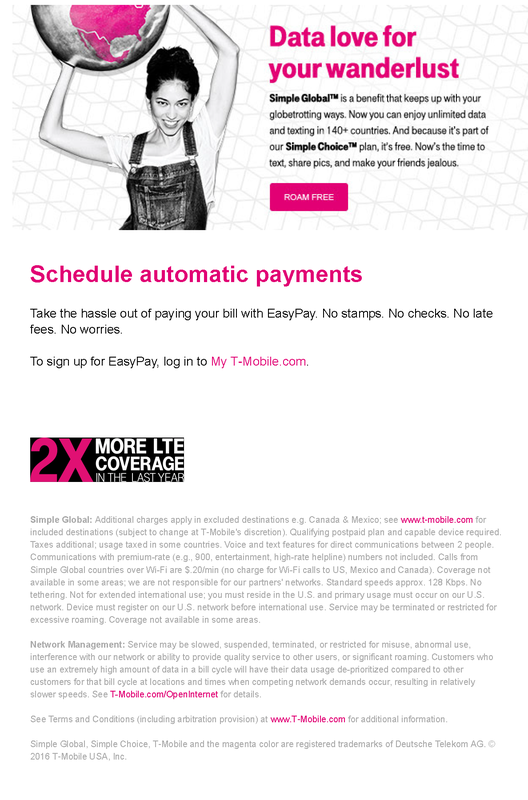 You can be sure, once you head on over to T-Mobile.com, they’ll be upselling you faster than a rocket full of monkeys. Speaking of upselling, that leads us to our next example. Not to be confused with cross selling, upselling is when you orrder something and then a company offers you a chance to purchase a higher end product. Amazon does this very well, especially with their Amazon credit card. The offering is very enticing and adds such great upfront value that you don’t mind taking 2 minutes to apply for another credit card. If you can, make the upselling process as simple and quick as possible that the customer doesn’t have a chance to think about it. The shopping cart abandonment email should be a gentle nudge; you know, the kind that you give a friend when they’re too shy to talk to their crush. Kate Spade, a women clothing and accessory company, is a master of this subtle nudge, which we’ll break down below. They do a great job of mixing in images, eye popping colors and compelling text to have the user take action. Immediately, your eyes are drawn to the big finger pointing at the bolded discount. If that wasn’t a ballsy move, they even try to cross sell you with other products you might like. Talk about laying it on! The last two things to pay attention to is the offer at the very top of the page, free shipping on all orders and the time limit placed on your discount. Both of these strategies play into the fear of loss on missing out on such a great opportunity. Social media, email and even direct mail, all of these measures can greatly impact your business, but nothing is greater than word of mouth. It is and will possibly always be the best way to earn new business and create loyal customers. The referral is the 21st century way of spreading the word and many companies will pay you to do so. Airbnb is one of my favorite companies who I will gladly flap off at the gums about. I love the platform, I love the customer service and I love that they offer up to $100 when you refer a new friend to Airbnb. The referral push comes in the same email as your reservation email so you know you’re not going to skip out on reading this. Also, because you want to make sure you have all the details for your trip, you’re reading the entire email at least twice. The prompt is short, sweet and to the point and doesn’t leave you wondering what you need to do to get started inviting your friends. Nothing warms the soul better than a nice welcome email and a cup of hot tea (with a little bit of honey). 500px does a solid job of making you feel welcomed into their community. The great thing about this email is that 500px hits you with so much detail. Not only do they let you know they’ve completely redesigned their website, but they also give you an insight into what changes have been made. As a user, you’ll certainly be on the lookout for those changes as you visit the website. In our last example we saw 500px do a great job of welcoming new users to their community, now we’ll take a look at how Instagram gets their new users engaged. Immediately, Instagram is letting you know that you will only see photos from people that you’re interested in seeing. In just a few quick words they explain that you can see nice birthday photos from friends or follow Kim Kardashian and her Hollywood adventures. 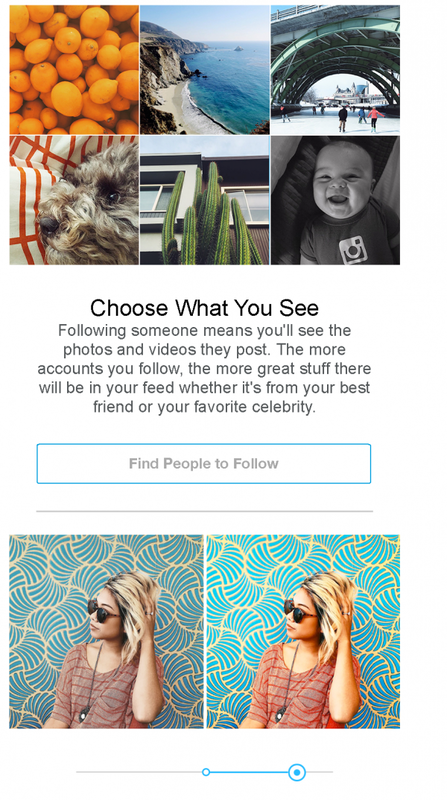 The call to action is big and takes you right into following users on Instagram. But, it doesn’t stop there. Next, Instagram quickly shows you how to use filters on their platform, with another call to action to get you started. And to end it all, they explain how various people use their platform, leaving users with the impression that Instagram is the perfect place to share their incredible moments with the world. We want to hear from you, what are some of your favorite transactional emails? Tweet us some examples and we may include it in a future blog! We’ll give you credit, of course.